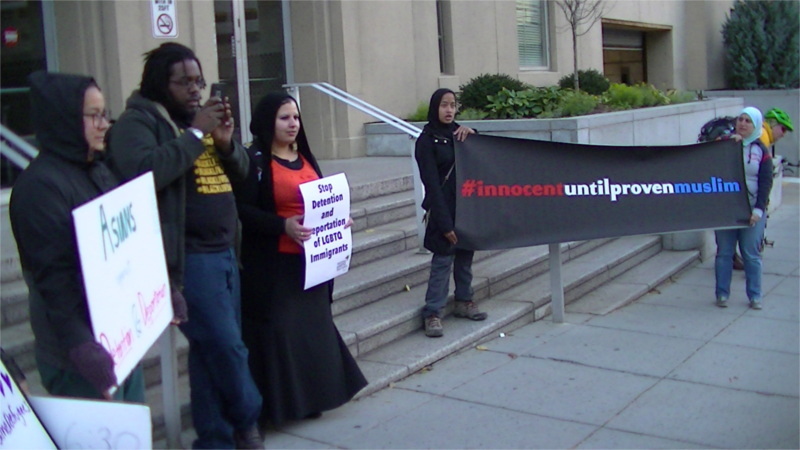 On the 20th of November, three separate Muslim rallies took place in DC. 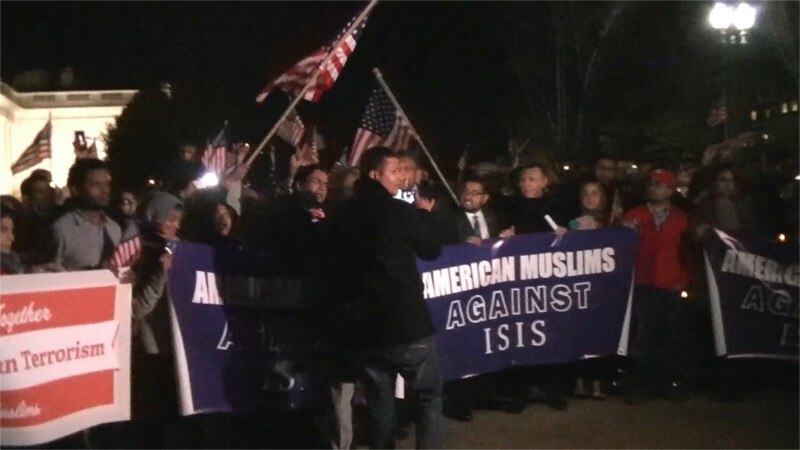 A small rally at the Lincoln Memorial and a very large march to the White House directly protested ISIS/Daesh. Many in the larger protest has US flags, reminescent of the 2006 immigrant rights protests. With politicians calling for blocking refugees from entire states and even a call for internment camps on the table, this is a reminder that the global Muslim community does not support Daesh and in fact that most of those murdered by Daesh are Muslims. In addition, a protest was held against racial and ethic profiling at DHS, with both Muslim and GLBTQ activists present. Police attempted but failed to stop some young African-American bystanders from joining the protest. ISIS/Daesh reportedly has been attempting for months to force Europe to seal their borders against the flow of Syrian refugees. They have even resorting to executing anyone they catch trying to escape from territory they control in both Syria and Iraq. The exodus of millions of refugees has drained Daesh's tax base, their labor pool, and the supply of young men they were hoping to conscript into their army. If Daesh's objective in Paris was to seal in those hoping to escape their rule by denying them sanctuaries, any politician advocating denying entrance to refugees or putting Muslims in internment camps is effectively working for Daesh himself. All that racial profiling and harassment of US Muslims assists Daesh in holding on to their population. One of the worst offenders in the wave of hate that is sweeping the country is Roanoke Mayor David Bowers, who invoked the internment of Japanese-Americans during WWII as a justifying precedent for denying entrance to Syrian refugees. Here is his exact quote: "I'm reminded that President Franklin D Roosevelt felt compelled to sequester Japanese foreign nationals after the bombing of Pearl Harbor and it appears that threat of harm to America from now is just as real and serious as that from our enemies then." This is the first time in living memory for most people that any politician has dared to cite WWII internment camps as anything other than a crime and a shameful act. In Europe too there have been calls for internment camps. All this hate can only help Daesh hold onto their workforce, their tax base, and their potential pool of conscript soldiers.